Adom FM last Saturday held its annual event dubbed ‘Adom Kolor Paaty’ at the Efua Sutherland Children’s Park in Accra. The event attracted thousands of listeners of Adom FM and music fans who witnessed historic live musical performances from artistes such as Kwadwo Nkansah (Lilwin), Obaapa Christy, among others. The ‘Mama Boss Papa’ hitmaker and Obaapa Christy thrilled music fans with their various hit songs. He was full of energy and his stagecraft and dancing skills were superb. 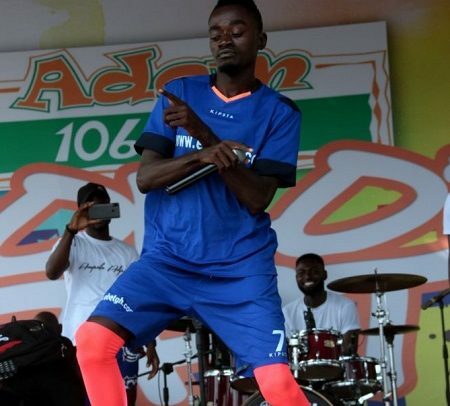 Known for delivering good danceable songs, Lilwin challenged himself at the show when he performed most of his popular hit songs like ‘Mama Boss Papa’, ‘Ladder’, ‘Corner Corner’, ‘Obumpa’, ‘Choice’, ‘Me Yare’, ‘Nyame Gye Me’, among others. Gospel artiste Obaapa Christy also delighted fans with most of her popular songs. The ‘Hyebre Sesafo’ hitmaker had a very strong stage presence and was cheered throughout her stage performance. The highly patronised event also witnessed performances from some of the station’s presenters like Kwamena Idan, Jerry Justice, Maame Akua and a host others.